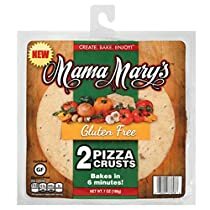 Mama Mary’s gourmet pizza crusts are always made with the highest quality ingredients available, including honey. They contain no cholesterol, msg, trans-fats or animal fats and are lower in sodium than most other brands. Our crusts are packed immediately after baking and are never frozen.